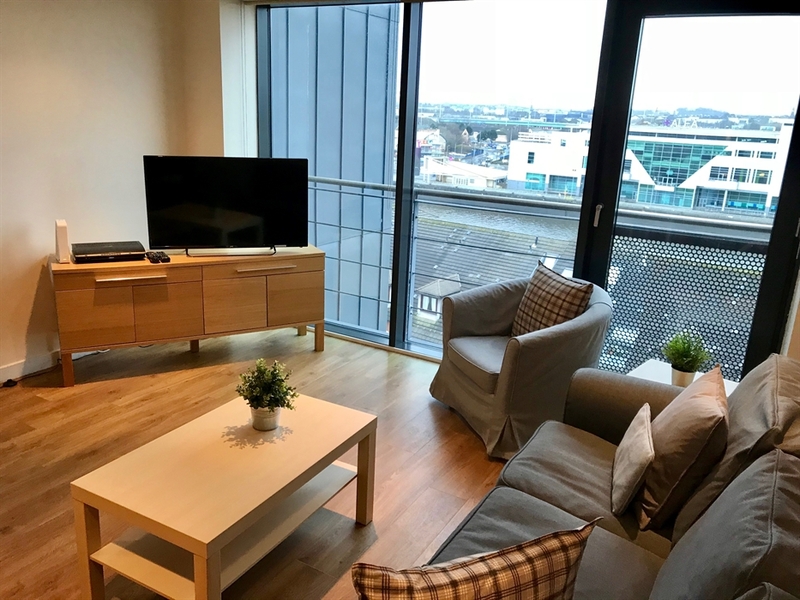 River Heights is a beautiful, modern 2-bedroom apartment and is situated overlooking one of Glasgow’s iconic sights, the River Clyde. 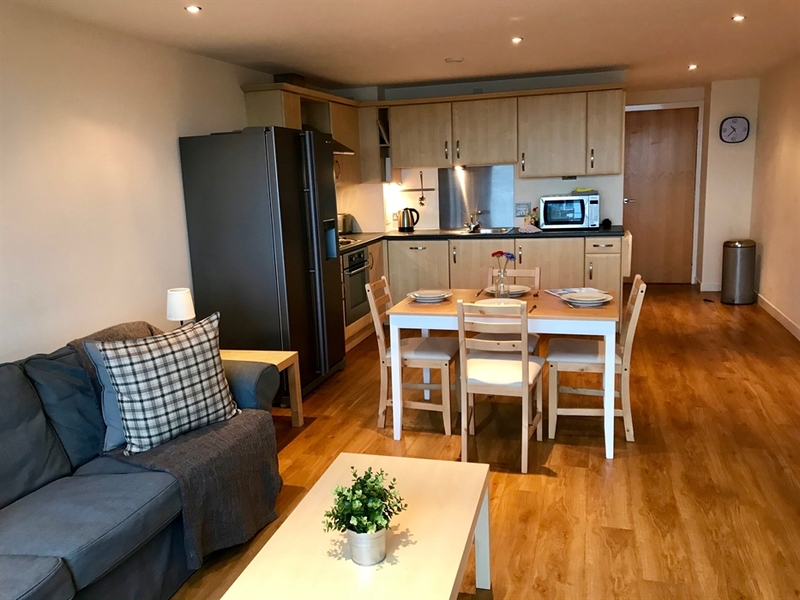 This Bright and Modern 2 Bedroom Apartment is located overlooking the River Clyde and just minutes from many of Glasgow’s concert venues, Hydro, SECC and Glasgow Auditorium. 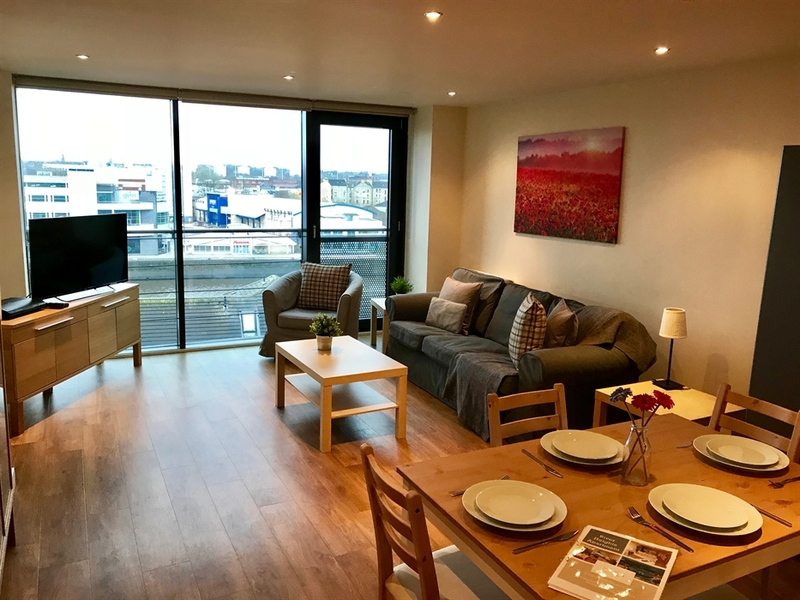 It is also around a 5 min walk to all of Glasgow’s famous shopping streets and minutes from the nearest underground station making it easy to get further afield. 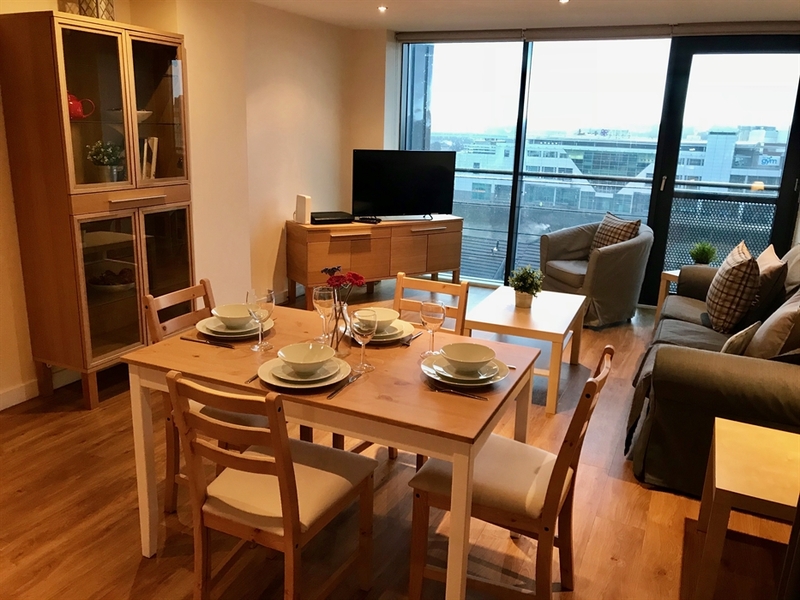 This wonderful two-bedroom apartment is located in the beautiful waterfront area of Glasgow and features tasteful, modern, furniture and fixtures throughout. At about 850 square feet, the apartment is spacious, very sunny and airy. The living room is large and spacious, with a comfortable sofa and chair. There is a large flat-screen television with freeview TV, which sits atop the media cabinet. Wooden flooring has been arranged throughout the apartment and floor to ceiling windows ensure a bright room and a great view of the river. The kitchen is fully equipped. 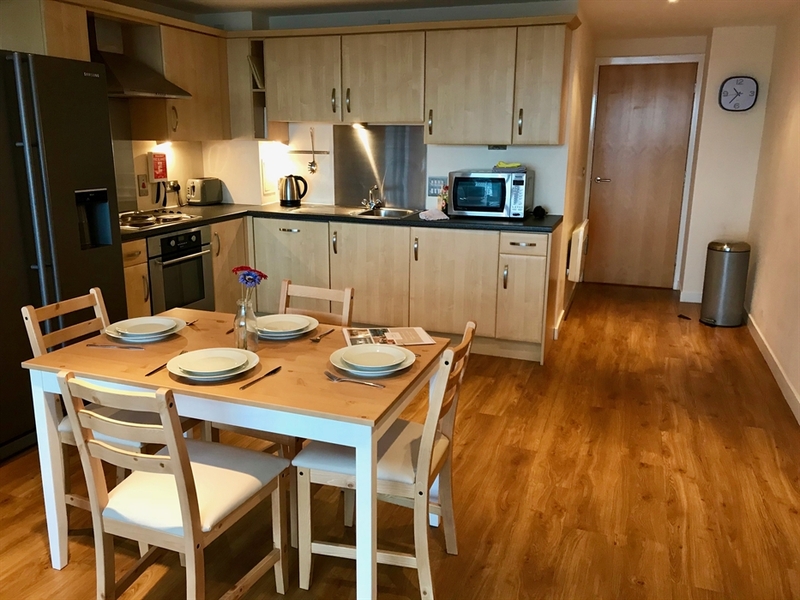 Whether cooking a feast, preparing a simple meal, or ordering in from one of the many wonderful nearby restaurants, a meal can be enjoyed on the dining table, which accommodates 4 guests. The main bedroom has a comfortable king sized bed with built in wardrobes and makes for a totally peaceful night's sleep. 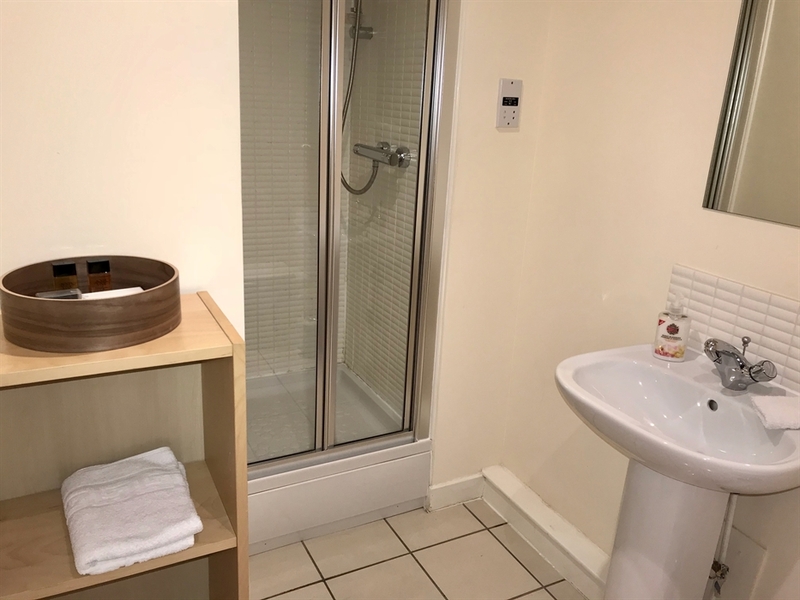 There is also the added advantage of an en-suite to the master, which is perfect for sharers and just what is needed in a home away from home! The second bedroom, has a comfortable double bed with built in wardrobes ** Please note** New photos of the rooms will be posted shortly. They are currently being re-decorated. We also have a baby cot that can set up for a small fee, available upon request. 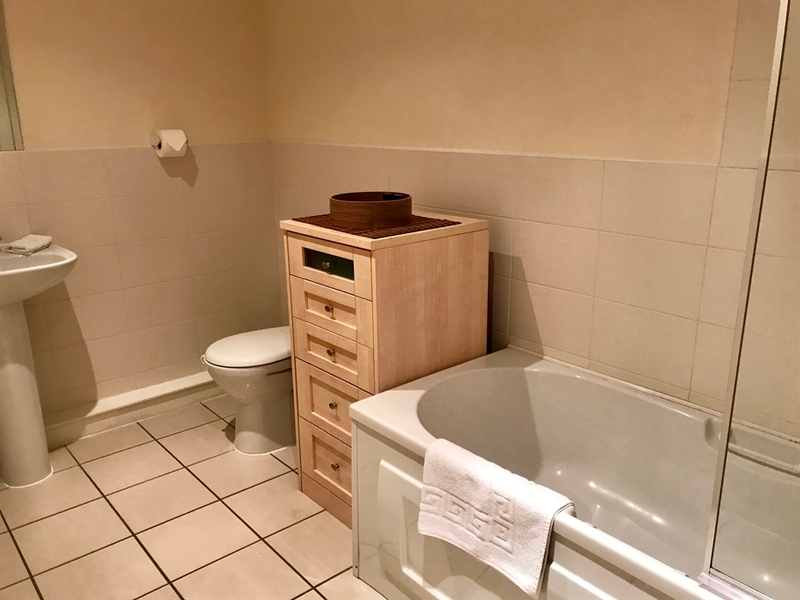 As well as the en-suite bathroom there is a guest bathroom, which features a full bath and shower. 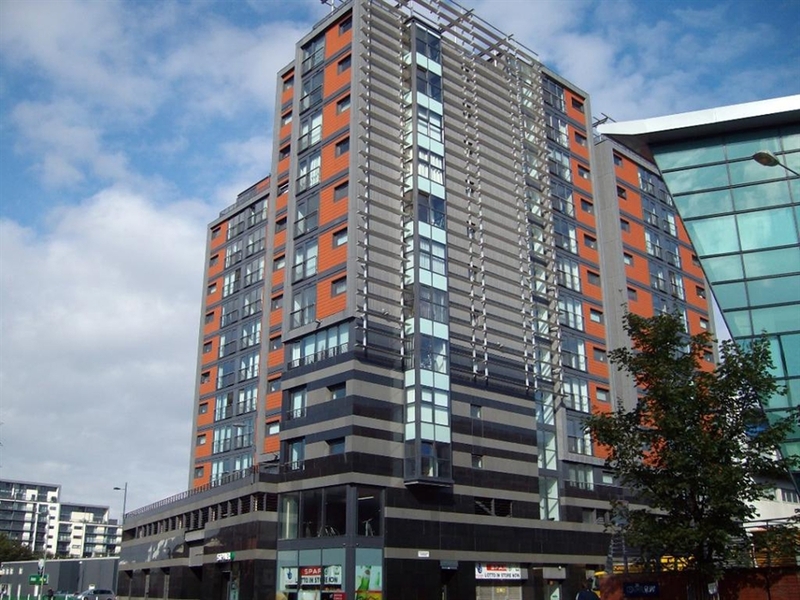 You will find this area of Glasgow to be perfectly located to many shops, boutiques, markets, restaurants, cafes, bars, beer gardens, museums, parks, and any other establishment that one needs or wants to have nearby in an urban setting. It is also perfect for those driving as there is free parking and easy access to the motorway. Many restaurants in Glasgow have been highly rated and it’s worth doing a little research to find one that suits you. 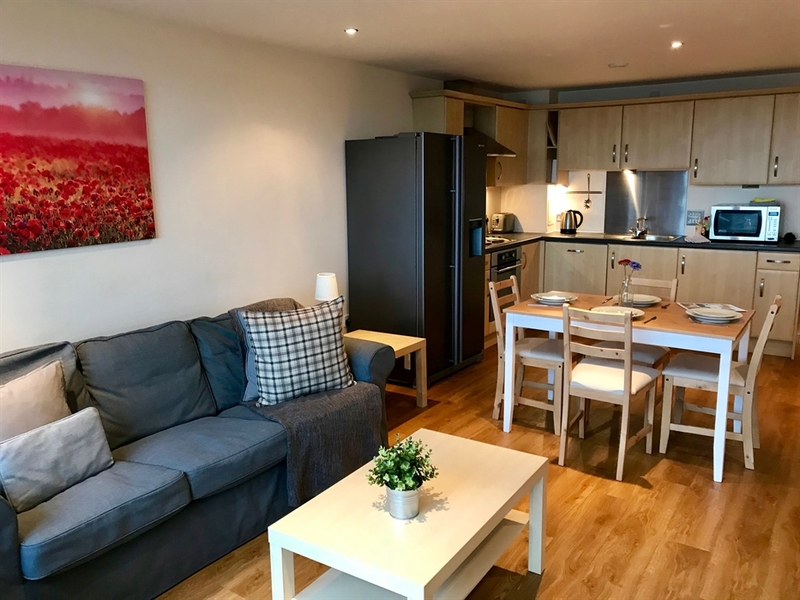 We have produced a welcome booklet in the apartment, which will help you with your planning, as it includes details such as an extensive list of restaurants in the area, nearby shops / markets, and a map of the area with key points. This booklet will help to immediately get you familiar with the area. The apartment altogether is very enjoyable to wake up, relax, eat, and sleep in. 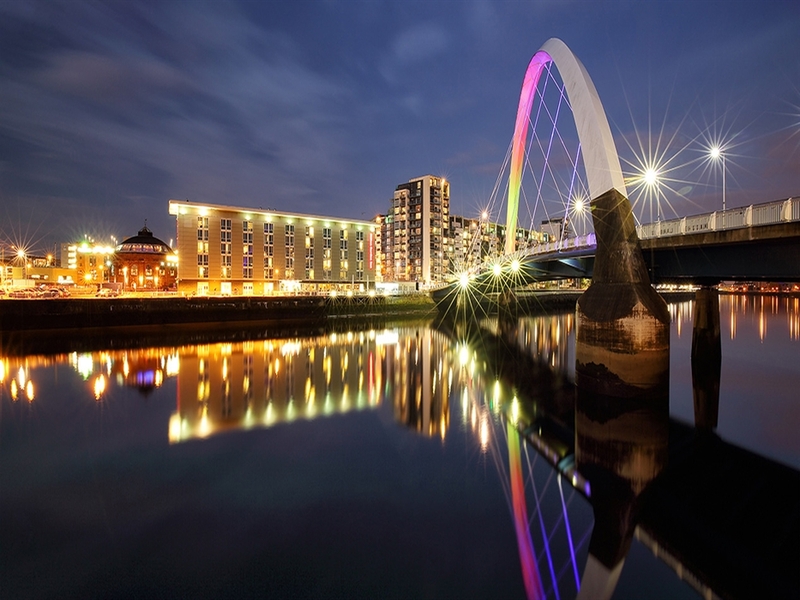 It is sunny, cheerful, clean, new, fresh, and will contribute plenty of happiness and wonderful memories to your holiday in the wonderful city of Glasgow!